Shaikh College of Education was Established in the year 2005 by Shaikh Group of Institutions. It is affiliated to Rani Channamma University Belgaum and is approved by National Council for Teacher's Education, New Dehli. The significant improvement in academic performance reflects the academic status of the college. This has been through a struggle for excellence and quality consciousness to meet the emerging global challenges. The institute strives hard for all round development of its stake holders so that they can make contributions of society. SCOE is committed to impart teacher's training of high quality, so that the teacher's come out of the institution with positive attitude, competent enough to take on problems of the teaching –learning process. Shaikh College of Education (SCOE) aims at equipping individuals with the necessary professional knowledge and values that will enable their growth and launch their careers as ‘Globle Teachers’. of tomorrow. It gives me immense pleasure in introducing Shaikh College of Education. It was established in the year 2005. It is premier institute imparting quality education in the field of Teaching. Social accountability is given high priority by all our students while discharging their duties as responsible Teachers. 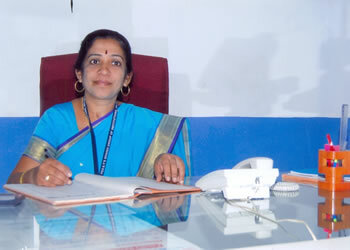 The institute has a motivated, academically excellent, committed, competent and dedicated teaching faculty. Every student who passes out of Shaikh Campus emerges as an exemplary individual who is through not only in his subjects but also in other “Life skills” like computer proficiency & English skills.